Energy hubs play an undeniable role in the power system as the coupling among various energy infrastructures such as electrical network, natural gas system, thermal network and renewable generation systems. 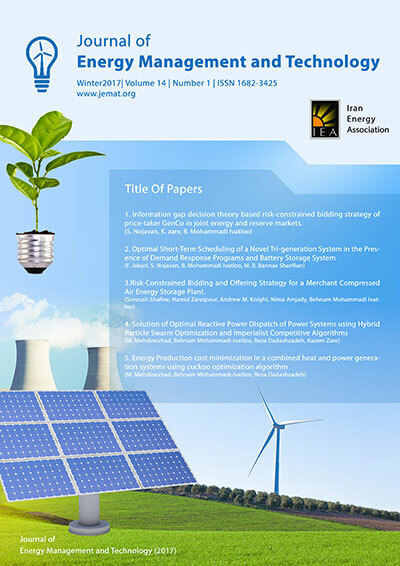 This paper assesses the renewable based energy hub (REH) optimal scheduling considering combined heat and power (CHP) unit, energy storage components, auxiliary boiler and wind turbine via hybrid stochastic/robust (HSR) approach. This paper proposes a strategy to control and model the uncertainties relevant to energy prices, wind turbine generation and energy demands by using the proposed HSR method. By using the HSR method, the global optimal results of the proposed REH scheduling problem can be reached. In addition, the computation burden of the proposed problem is reduced. Furthermore, by the HSR approach, the operator of the system can follow a robust strategy to immune the system against the worst events. The proposed system can participate in the thermal energy market beside electricity market by way of self-scheduling method. Three sets of possible scenarios are used to model the forecasted errors of demands and wind generation uncertainties, while robust optimization method is implemented to manage the uncertainties relevant to electrical and thermal energy prices.